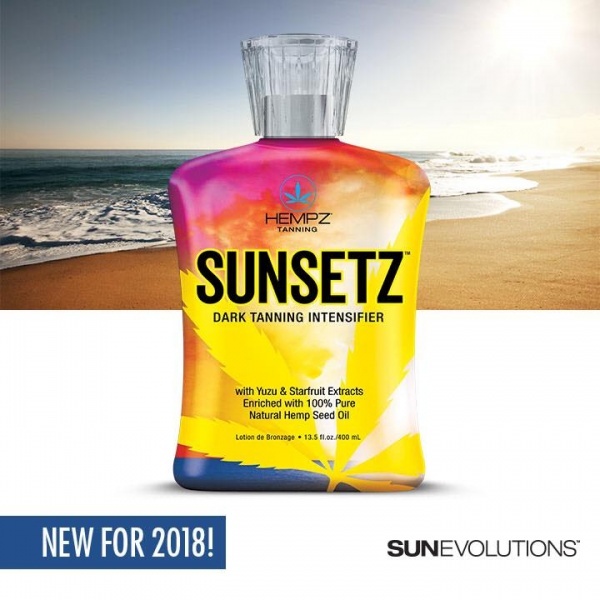 Hjem » Sol & Solarium » Solariumskrem flasker » Sunsetz Dark Tanning Intensifier 400 ml. 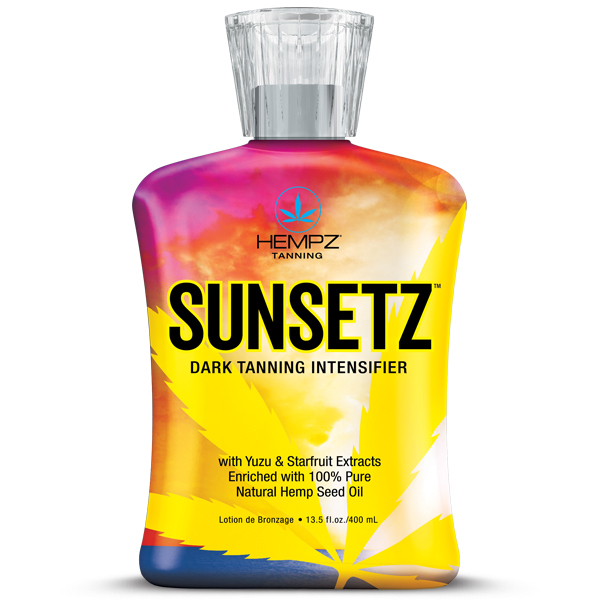 Let the warm glow of the setting sun kiss life’s troubles away with Hempz® Sunsetz Dark Tanning Intensifier designed to maximize your results for a more natural looking tan. Yuzu and Starfruit Extracts contain Vitamins and Minerals that help energize, brighten, firm and hide fine lines and wrinkles. Our Citrus blend of Lemon, Orange Peel and Goji Extracts, condition, soothe and revitalize for the ultimate in touchable skin. Sunsetz are proof that no matter what happens, everyday can end with beautiful color. • Our Citrus blend delivers moisture and helps hydrate, and nourish skin from the daily elements. 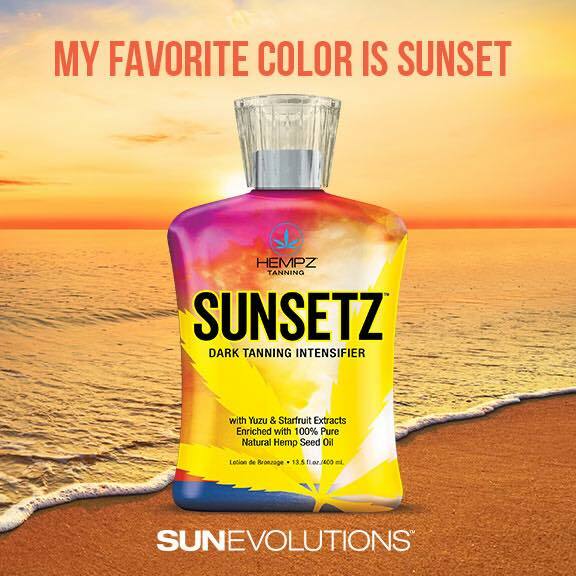 Sunsetz from Sun Evolutions on Vimeo.